Browse through our Cheap Menorca holidays and visit this beautiful island of pine filled woods, rolling green hills and more beaches than the other Balearic Islands put together. 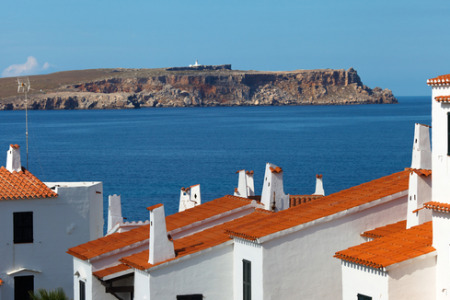 Holidays to Menorca can be taken at any time of year as the island enjoys hot summers followed by mild winters, with most precipitation falling between October and January. Menorca has varied topography with the best sandy beaches in the south, dramatic rocky coastline in the west and great surfing conditions in the north. We have great Menorca holiday deals to cater for your interests. There are relaxed resorts popular with families, others where nightlife is lively with a party atmosphere. Days can be spent on the beach enjoying the sun and the water sports or visiting Mahon and the old capital Cuitadella with their historic centres. Bag a bargain Menorca holiday and you will have money to spend in the markets and in the shops dotted around the maze of cobbled streets in the old town. Holidays in Menorca offer an enticing mix of warm sunshine, stunning scenery, fantastic beaches, wonderful food and good wines. Do yourself a favour and search for our low cost Menorca holidays using our search facility. Battle of the Balearic Islands - What makes them each unique!